Internet Information Services or IIS is Microsoft's web server application. It is based on Windows NT Server, and it supports the World Wide Web, FTP, and gopher, a menu-oriented tool used to locate online resources developed at the University of Minnesota. 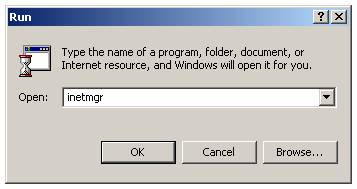 Typing inetmgr at the Run command line would open up the Internet Information Services GUI. Typing iisreset at the Run command line would restart the Internet Information Services.